How does a seemingly typical institution like homecoming feel remote and uncanny? It’s simple. Ryerson doesn’t fit the bill of your “typical” university. We don’t have the big fancy quad, the giant dormitories or the numerous sororities and fraternities that one may think of when considering a typical school. Our campus is in the heart of downtown Toronto, a large portion of students are commuters, and we have this odd, tenuous relationship with Drake. So, why is our homecoming trying to conform to something that we’re not? Shouldn’t we be trying to embrace the differences that make us who we are? Ryerson’s homecoming will take place at BMO Field during a CFL game, when the Toronto Argonauts play the Hamilton Tiger-Cats on Oct. 12. There will be a Ryerson-only zone and students have the opportunity to pay a discounted price for tickets. Homecoming, also known as HOCO, is a long held tradition where both students and alumni gather to celebrate their school. Traditional homecomings include rallies, dances and parades that unite students and alumni together, with the intention of fostering school pride. Though the history of homecoming is still somewhat contested, the NCAA, Jeopardy! And Trivial Pursuit agree its origin is tied to the University of Missouri. According to the school’s website, it all began when Missouri’s athletic director, Chester Brewer, invited alumni to “come home” to watch the annual football game against the University of Kansas. As such, homecomings are typically centred on the school’s first football game in early fall — the only issue is, Ryerson doesn’t have a football team. Instead, Ryerson students are expected to travel off campus to watch a non-Ryerson team play. This isn’t a homecoming. This is a glorified tailgate party for another team’s football game. It’s odd that a school with such history in doing things differently has decided to conform to the tradition of football despite having an abundance of other great Ryerson teams to choose from. The Ryerson Rams women’s volleyball team brought the school its first ever national title last season — a season where they were also undefeated. The men’s soccer team is currently tied for first place in all of U Sports, heading into playoffs and, the men’s hockey team won its season opener by a score of 10-1. The list could go on. 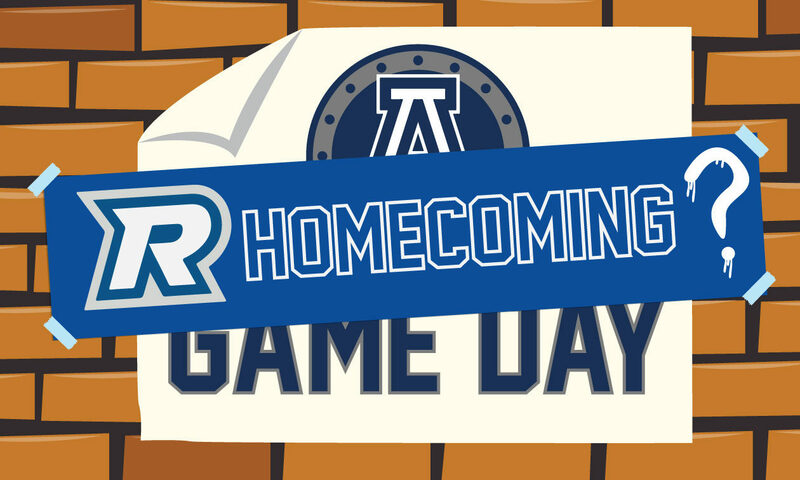 There are so many teams and clubs to celebrate right here at home, a football field shouldn’t matter — let our homecoming lead to the Mattamy Athletic Centre instead. Rather than trying to replicate the standard, run-of-the-mill homecoming, Ryerson should make its HOCO a one-of-a-kind experience, unique only to this university. People flock to universities such as Queen’s, Western or Waterloo because their homecomings are “legendary,” according to my sources (read, friends), but that doesn’t mean we should strive to be them. If homecomings are meant to foster school pride, then Ryerson’s homecoming should strive to reflect what Ryerson is: different than others schools. And yes, maybe that means asking Drake to come back for another three-and-a-half-song set. Aidan Lising is one of the Graphics & Photo Editors at the Ryersonian. He specializes mainly in graphic design, particularly with sports. Editorial Cartoon: Extra! Extra! Read all about it!